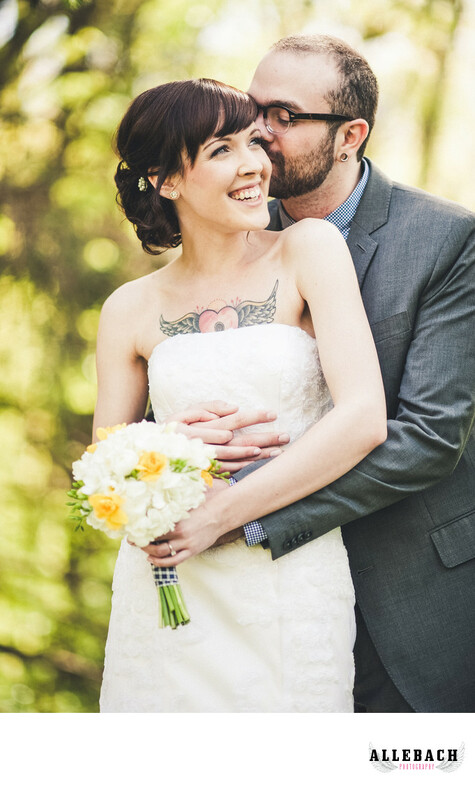 This tattooed bride and groom were married at the Lakehouse Inn at 1100 Old Bethlehem Rd, Perkasie, PA 18944. The Lakehouse Inn is an amazing venue to get married at. We love it!